Growing up in West Texas meant either loving or hating country music. Not a celebration, birthday, skate party or short drive passed by without the familiar twang of the guitar and the drawl of one crooner or another — Clint Black, Garth Brooks, etc., etc. Personally, it never clicked in my adolescent mind. Brooks & Dunn could boot, scoot or boogie until their spurs fell off, and my attention would have been elsewhere. That is, until Dwight Yoakam’s turn on the dial. Parsing the barren fields of the southwest desert, wondering when anything — anything — would pop up on the horizon, and then “A Thousand Miles From Nowhere” arrives on the airwaves just in time to put into song the feeling of being everywhere and nowhere. So it was at the Ventura Theater that this wayward West Texas son found himself in a crowd of locals decked out in cowboy hats and tight jeans, clapping and vaguely dancing to Dwight Yoakam’s lonesome drawl. But Yoakam isn’t your typical cowboy. Though he’s originally from Kentucky, you wouldn’t know it from his backup band of rhinestone cowboys or the stage, which was dressed to look like a lounge, with soft colors and swanky lighting. When Yoakam slid in front of the mic in tight orange jeans, denim jacket, his signature cowboy hat and a rhinestone-laden guitar strap hanging over his shoulder it all clicked; this is Yoakam, plain and simple. For all of the country music that is played on the radio, Yoakam is at once of it and removed from it, not quite fitting in with the plan. On his latest album, 2012’s 3 Pears, Yoakam exemplifies the little bit country, little bit rock ’n’ roll attitude he’s become famous for. 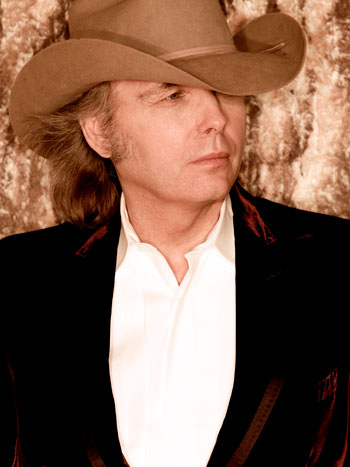 Yoakam drew from his three-decade-long catalog for the night’s show, reaching back to his duet with Buck Owens, “Streets of Bakersfield,” for a very emotional interpretation sans Owens, who passed away in 2006. Yoakam also performed a rendition of Johnny Cash’s “Ring of Fire” with an interesting new take on the chorus while maintaining the original upbeat, ranchero style of the original. While the Ventura Theater had plenty of space for the large crowd, the area in front of the stage was occupied by VIPs enjoying dinner with the show — an unfortunate choice because during the rowdy, honky-tonk numbers like “Things Change” and “Guitars, Cadillacs,” the general admission area seemed tighter than Yoakam’s pants.